Sample our roundup of Ola's recent ads. 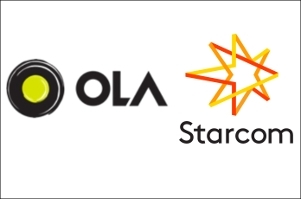 This morning, we woke up to some big news: homegrown taxi hailing app Ola has roped in Leo Burnett Orchard and Indigo Consulting to lead the creative and digital fronts, respectively. Together, the two mandates comprise the 'marketing mandate'. This is a great time to look back at some memorable ads released by Ola in the recent past. We looked at YouTube and Twitter. The nation stands with you to lead us to glory.